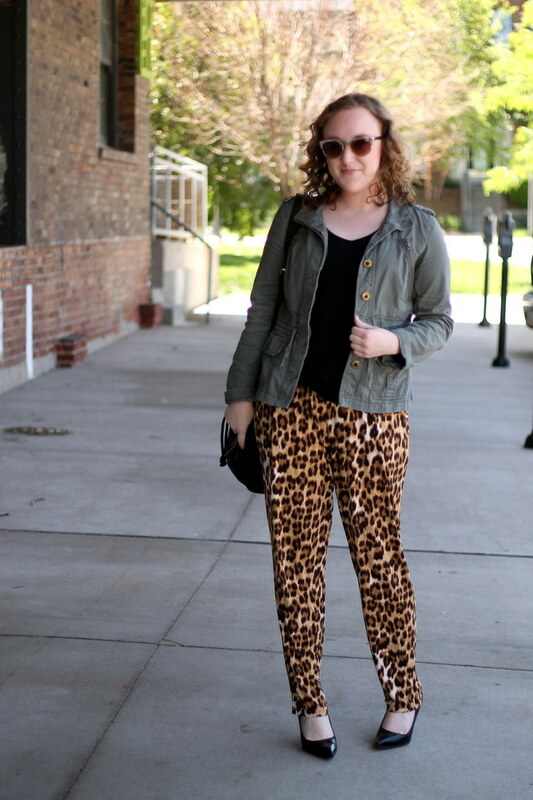 This outfit will come as no surprise to the longtime RMH readers. 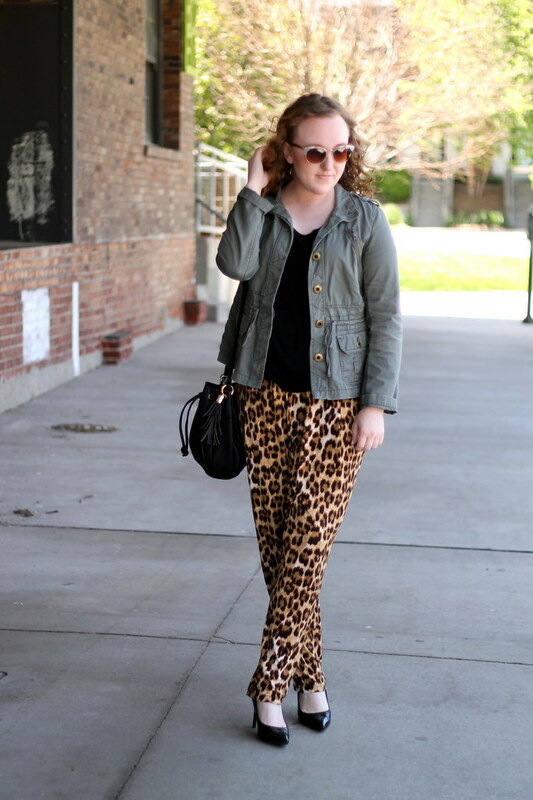 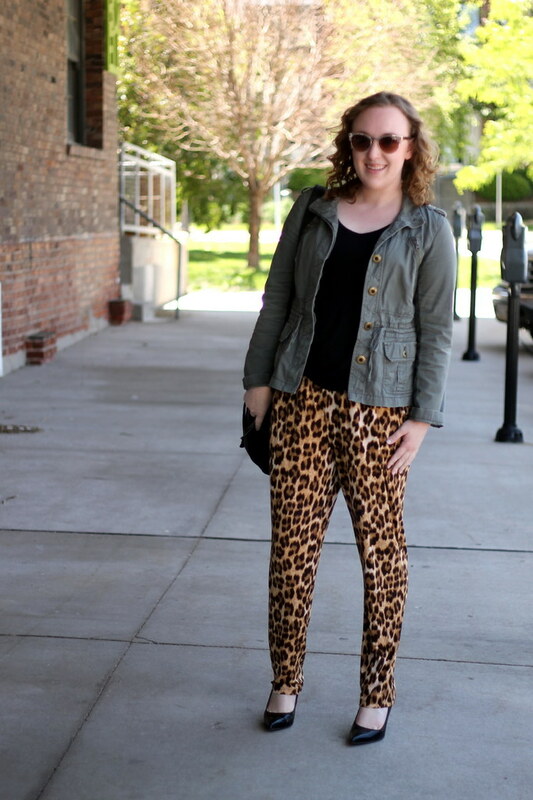 Leopard pants, my green anorak jacket, and everything else in black are my jam. 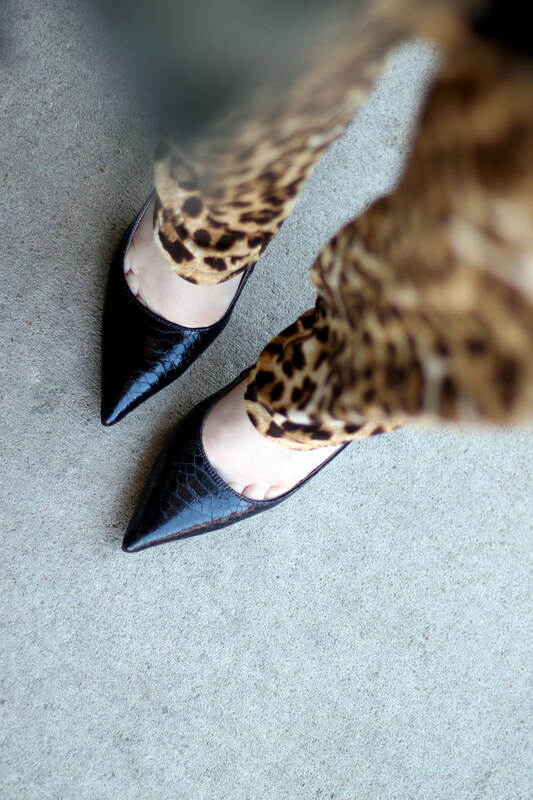 It’s kind of embarrassing just how much I wear these pants, but I strongly believe everyone needs a little leopard in her life. 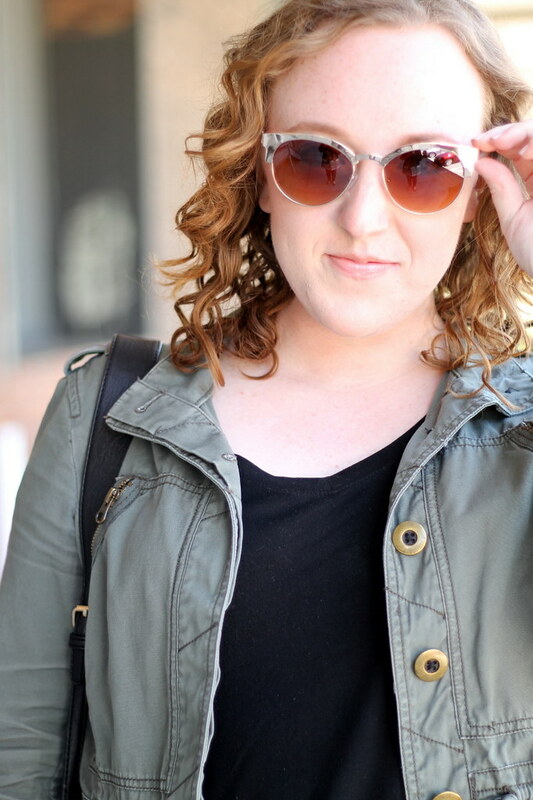 And don’t even get me started on these sunglasses (that were only $16 in Loft when I bought them a few weeks ago); they haven’t left my face, and I love the bold gold.